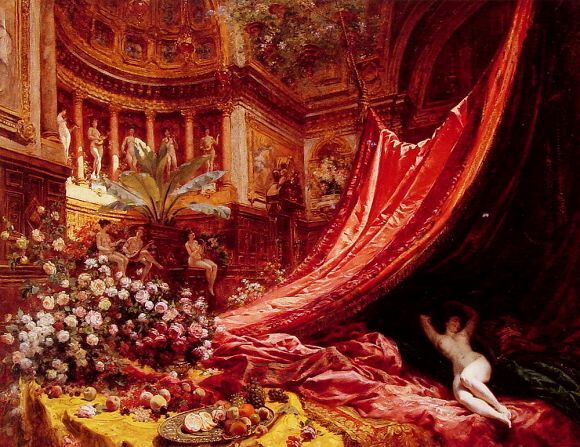 Jean Bóraud,　Symphony in Red and Gold, 1895.
a mystery never fully explained. which figures in the famous disaster. 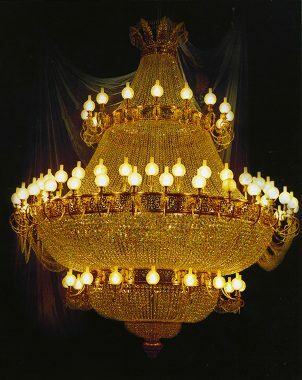 it may look like when re- assembled. with a little illumination, gentlemen? 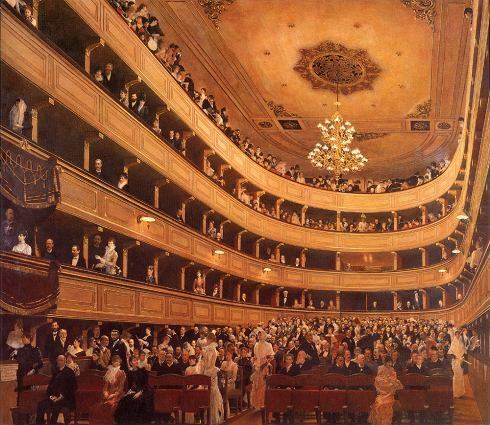 Gustav Klimt: Auditorium in the Old Burgtheater, 1888.